We're happy to announce that another round of beta testing has passed. 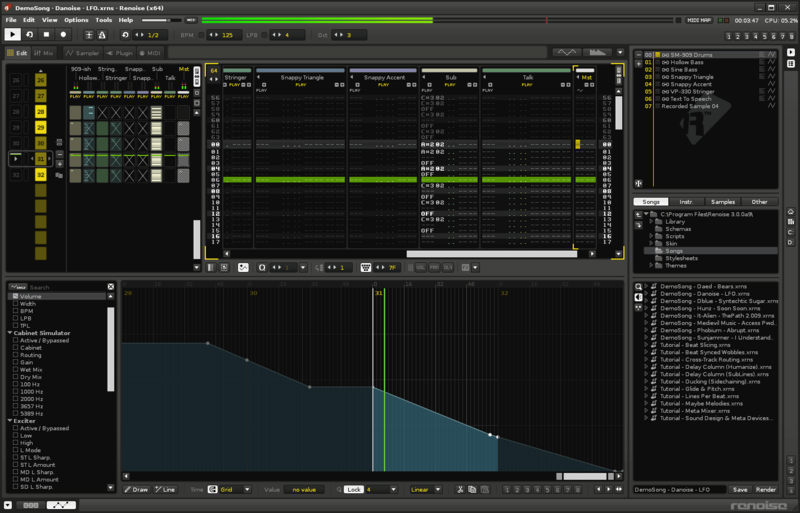 Renoise 3.1 is ready for production. We are happy to announce that Renoise 3.1 is now in public beta. We would like to invite anyone with a Renoise license to download the software and try out its new features. We're happy to announce that the Redux VST/AU plugin from Renoise is now available for Win/OSX/Linux. Another round of beta testing has passed, Renoise 3 is ready for production. 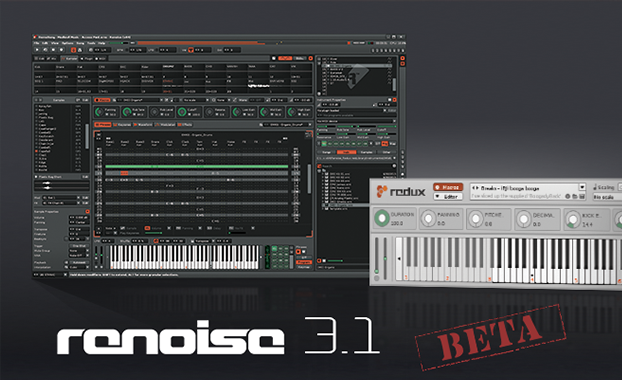 A detailed description of what's new can be found on the Renoise 3.0 launch page. With Renoise 3.0, a lot of what makes Renoise special in the first place - the tracker interface, the flexible effects and routing - has now been integrated into its built-in sampler. The user interface has been redesigned with a dedicated instrument section, allowing quick access to even the most deeply hidden feature. And it is possible to detach the instrument and stick it on a separate monitor, too. We are proud to present a new Renoise Release. 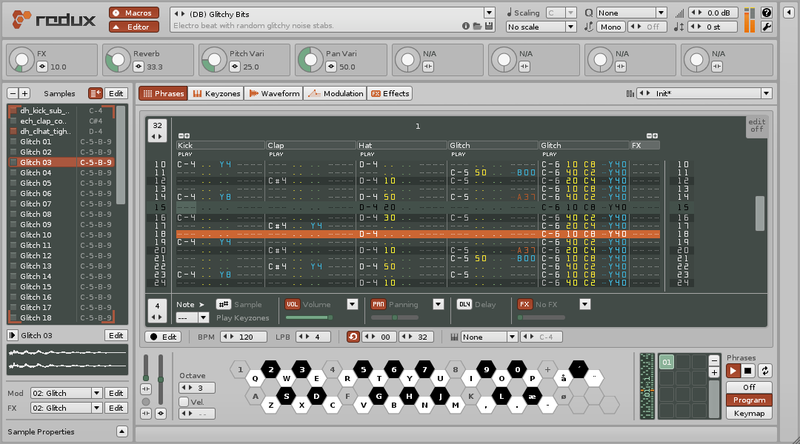 Beta versions of our latest release are now available to all registered users at the Renoise Backstage. Everyone is invited to join our forums to welcome, discuss, tweak and help bug-fixing the new release. Eight weeks of community driven testing finish today. We are proud to announce that Renoise 2.7 is stable and ready for production! Thanks once again to our users, the best in the world. 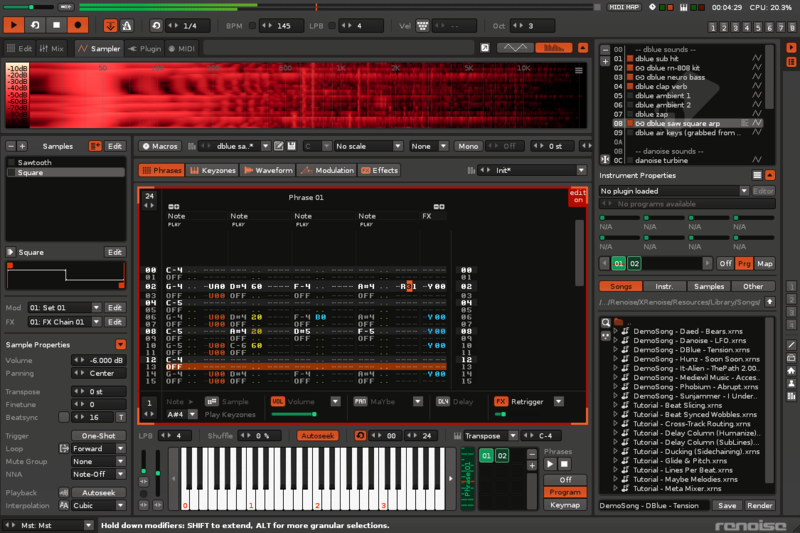 After the hack-and-dev onslaught from the previous release, beats are back in business with "probably the most complete music tool available on Linux, and even on Mac and Windows": the Renoise 2.7 Beta! Read on to see how you can join the party at a quite favorable entry fee. But let's have a look at the new features first. Renoise 2.6 Final, a tribute to the most tech savvy users, is out now. The highlight of this release is the scripting engine, which allows users to code new features in scripts that can be plugged into Renoise in packages called Tools. Furthermore there are some exciting changes under the hood, one of which makes working with longer samples a lot easier. After months of testing and feature finetuning, especially for Renoises new scripting API, Renoise 2.6 gets very close to its final release now.